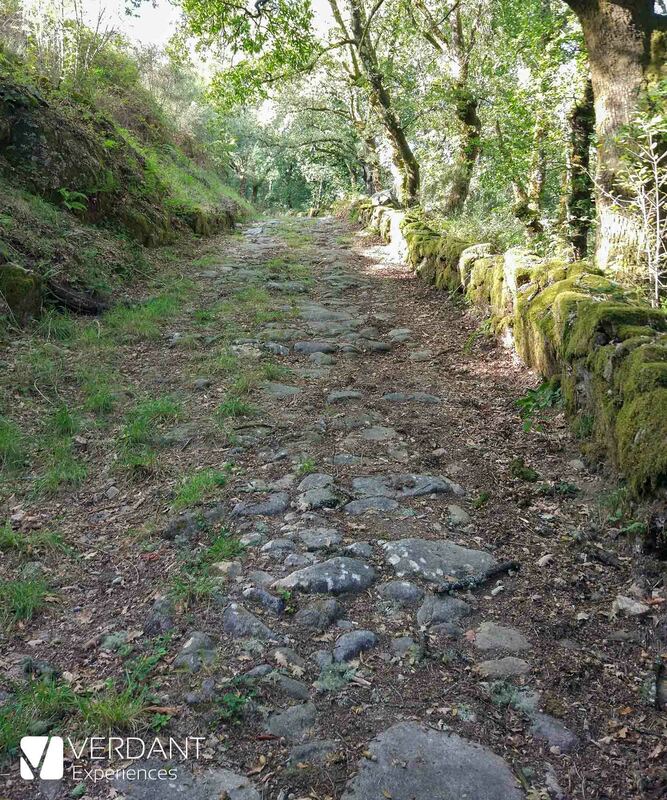 This oficial path that runs through the municipalities of Punxín, Amoeiro and Maside, is part of the Caminos Naturales de España program and crosses several bridges, footbridges and old mills (some of them restored). 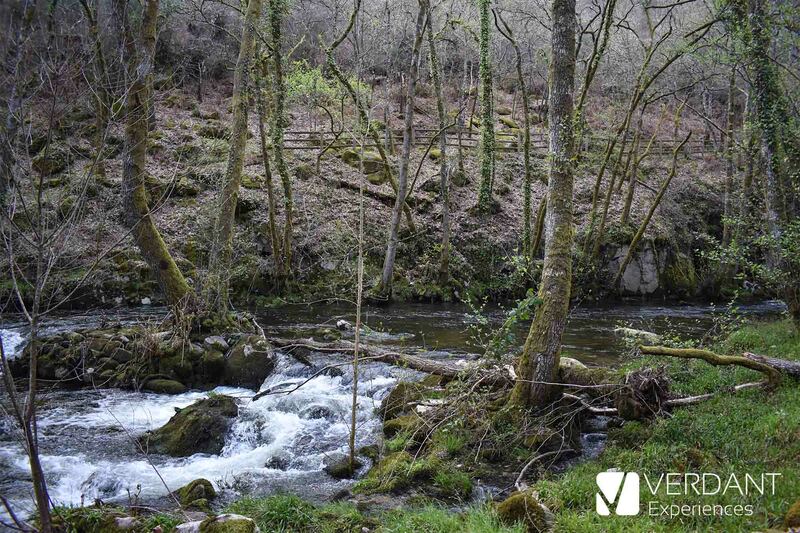 The route starts next to the river in the municipality of Punxín (at the village of "A Forxa"), and you can start at either of the two margins. 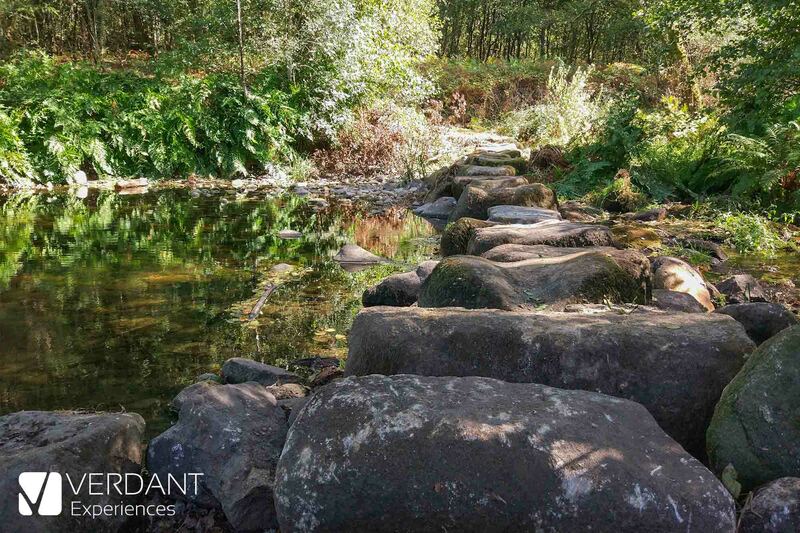 We started it on the right margin, if the river carries a lot of water, it will not be possible to cross by the first path of stones and we will have to walk first along the left margin until we reach the first bridge that allows us to cross to the other side. The existence of this trail is related to the mills, since a route to transport the grain to these buildings was necessary. 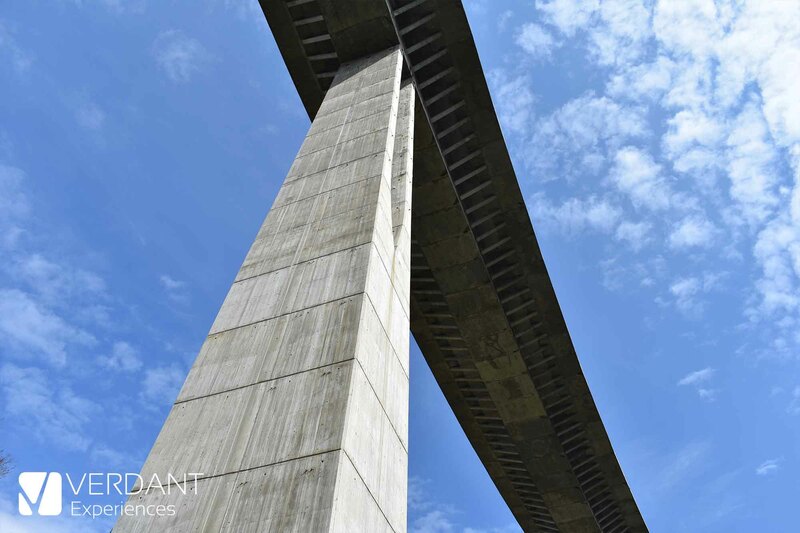 Therefore, along the way we will find abandoned water channels and mills interspersed with black poplar and willow trees, as well as several streams and rest areas. 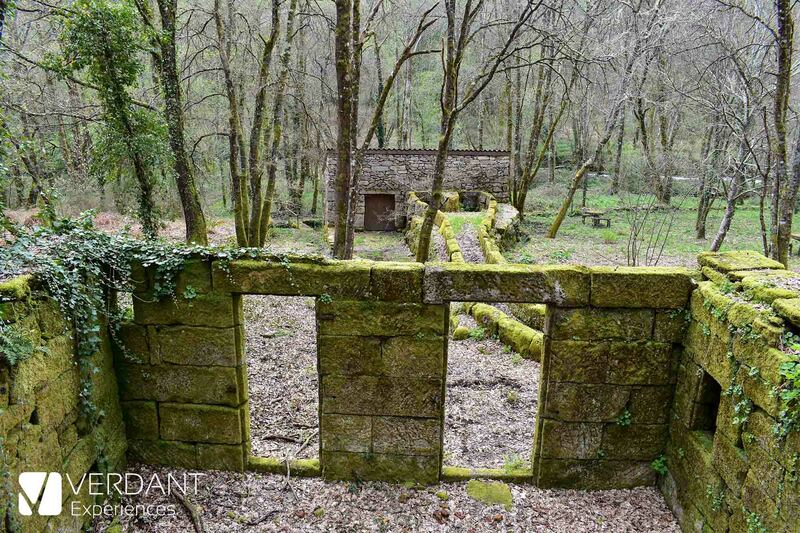 We will also find other buildings less respectful to the environment such as the ruins of a fish farm next to a building of an electric generator, and the viaduct of the highway AG-53 that connects Ourense with Santiago de Compostela. 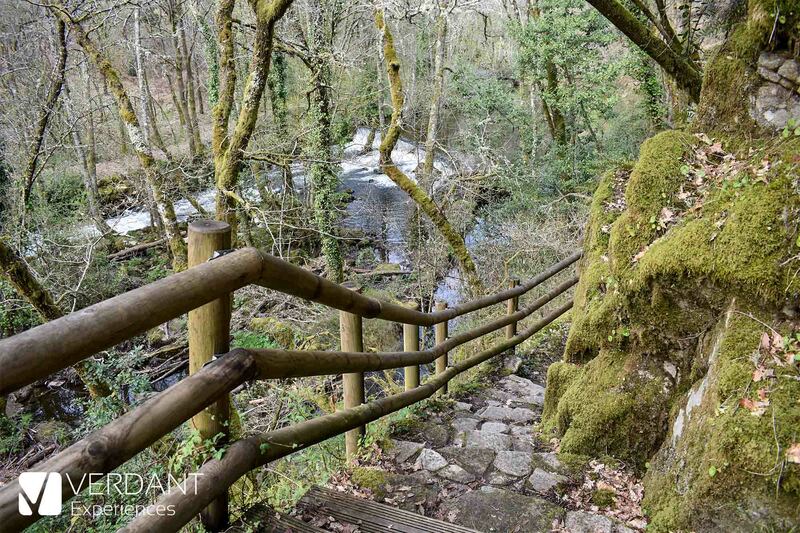 The path continues along wooden footbridges that intermingle with the path itself until you reach the "Muiños das Penas", where we can see several reconstructed mills that can be visited inside. 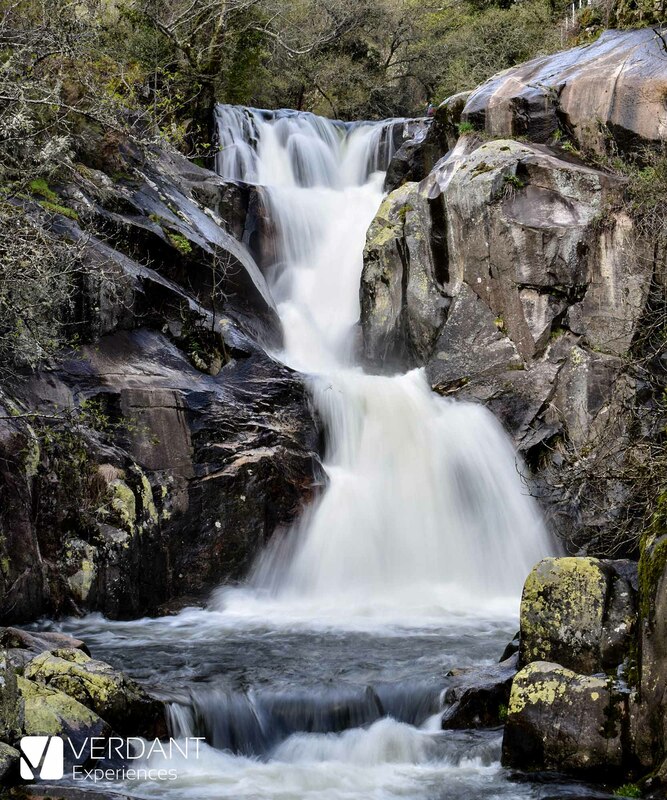 Next to the mills is one of the attractions of this route, an spectacular waterfall of 15 meters known as "Fervenza do Barbantiño" or "Catarata do Cachón" which can be seen from a metal bridge. This waterfall can also be seen from the top, to get there you have to climb some stairs next to the mills that will take you to the top. From here you have two options, make the full hiking trail up the mountain or cross the metal bridge and return by the other side of the river to the starting point. 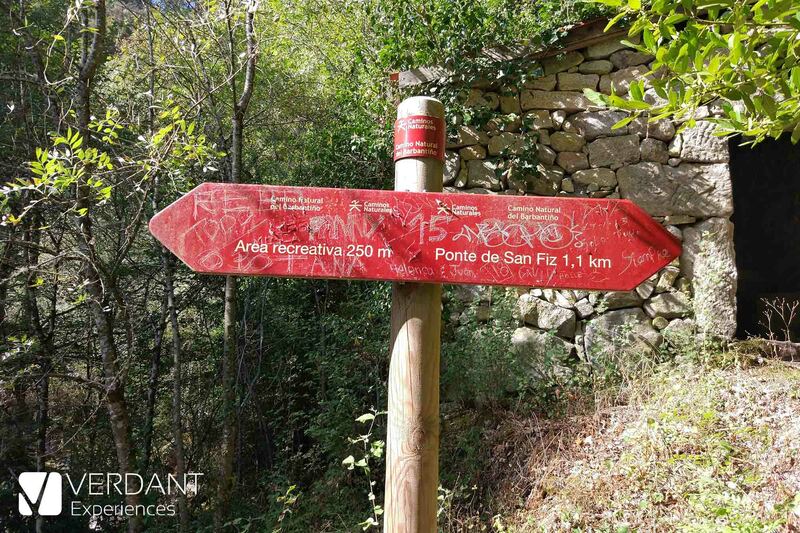 If you decide to continue and do the full hiking trail, a hard climb awaits you until the “Alto de San Fiz”, where you can see the bridge of the high-speed train (AVE). Then you will descend until you reach a tunnel built to bypass the railway line that passes over. 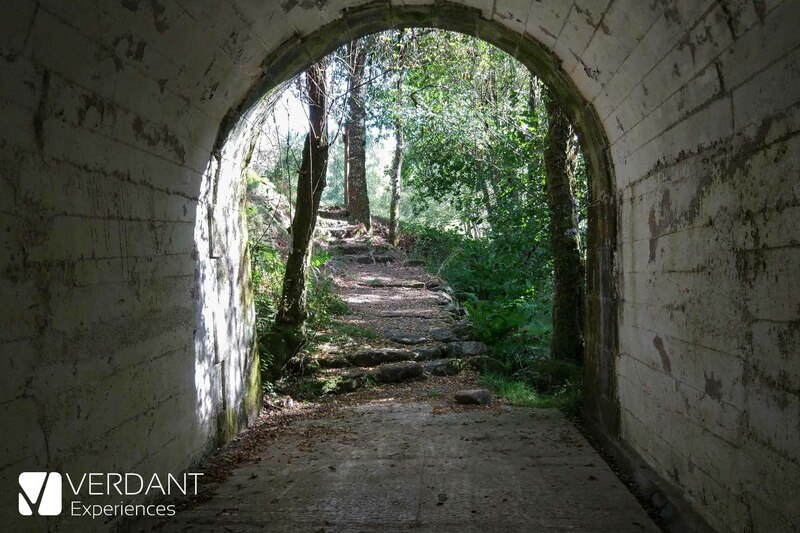 On the other side of the tunnel, the beautiful medieval bridge of “San Fiz” await you, through which passed the old “Camino Real” that linked Ourense with Santiago de Compostela and that connected Galicia with Castile. We cross the bridge following part of the “Camino Real”, we will have a section of ascent and once at the top we will have to look for a path on the left of the track that will take you back to the waterfall. 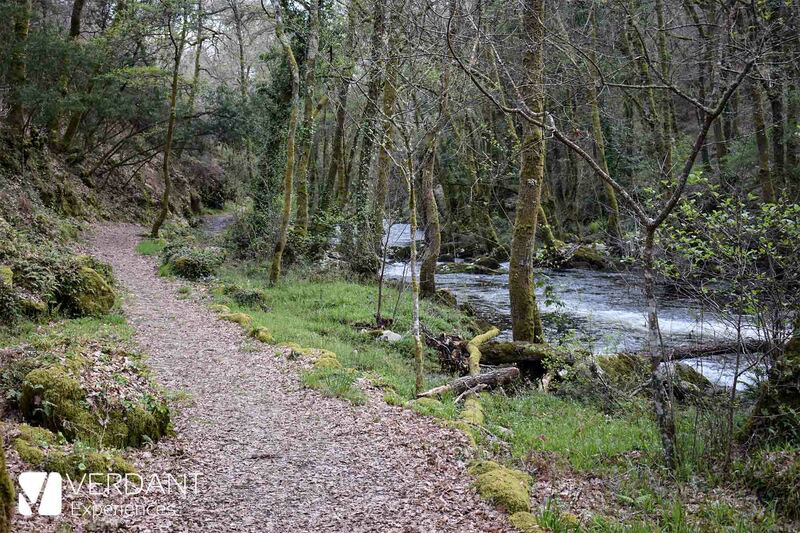 This path has a descent with some complicated section, being advisable to be careful. 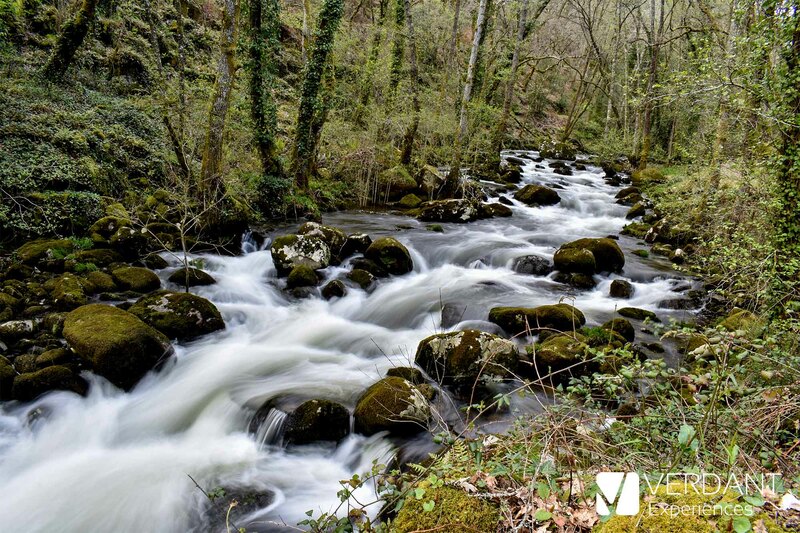 Once back to the waterfall you will follow the route on the other side of the river until you reach the village of A Forxa again. If you are interested in doing this hking trail around the Barbantiño river and you want us to organize your visit, you can contact us here.